Our art department will work with you from the initial concept design through bringing the inflatable to reality. All the time we continue to expand our product line, to meet the different customer needs all around the world. 2. Can we change the size and color based on the original9 -- The size and color can be changed according to your requirement. Similar Products Shipping and Payment Sample service 1. We can offer our stock model ( free sample ) to you for quality checking and color , size , logo confirmation . Price service 1. More quantities , more competitive discount we can give to our clients 2. For old clients , they can enjoy more benefits from our factory Trading Process Partners BeiLe Inflatables Co. Various other product shapes are available ; The products' applicable fields: indoor or outdoor,school stadium, playground, party room, events, feastival occasion, pool,home garden&hellip;. Guangzhou ASIA Inflatables Co. ,Limited Welcome to contact us! Mobile: +86 13054468032 Tel No. 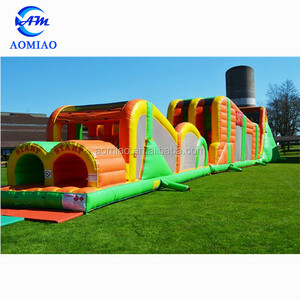 Alibaba.com offers 6,315 adult obstacle course products. About 67% of these are inflatable bouncer, 13% are playground, and 4% are trampolines. A wide variety of adult obstacle course options are available to you, such as pvc, vinyl, and nylon. You can also choose from castle, slide, and pool. As well as from free samples, paid samples. 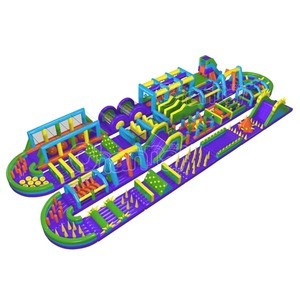 There are 6,315 adult obstacle course suppliers, mainly located in Asia. The top supplying country is China (Mainland), which supply 100% of adult obstacle course respectively. 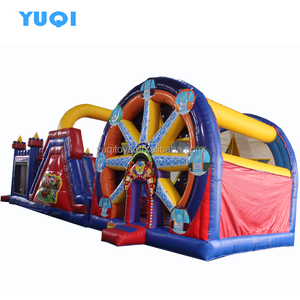 Adult obstacle course products are most popular in North America, Western Europe, and Domestic Market. You can ensure product safety by selecting from certified suppliers, including 836 with ISO9001, 499 with Other, and 295 with ISO14001 certification.